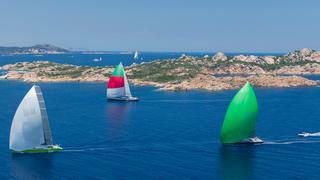 The Loro Piana Superyacht Regatta is organised by and hosted at the Yacht Club Costa Smeralda, in collaboration with Boat International Media. To register your interest for the Loro Piana Superyacht Regatta, please email the event team at events@boatinternationalmedia.com. The regatta is open to the following boats: boats with LH of 80 feet or above with a current ORCsy Handicap Certificate; It is at the discretion of the Organising Authority to invite or accept yachts of particular interest or historical significance. Depending on the number and nature of the entries, the Organising Authority at its absolute discretion may divide them into groups or divisions. Divisions may have different courses, cruising or racing orientated, and starts (pursuit or fleet starts) in accordance with the nature of the yachts. For all NON-MEMBERS OF SYRA (Superyacht Racing Association) there is a fee of €950* in addition to the entry fee. *All SYRA approved superyacht regattas in the 2016 season require non-SYRA members to contribute to SYRA for improving the safety of Superyacht racing and investing in the fair racing handicap review. For further information about the Superyacht Racing Association and details on annual membership, visit www.superyra.org.